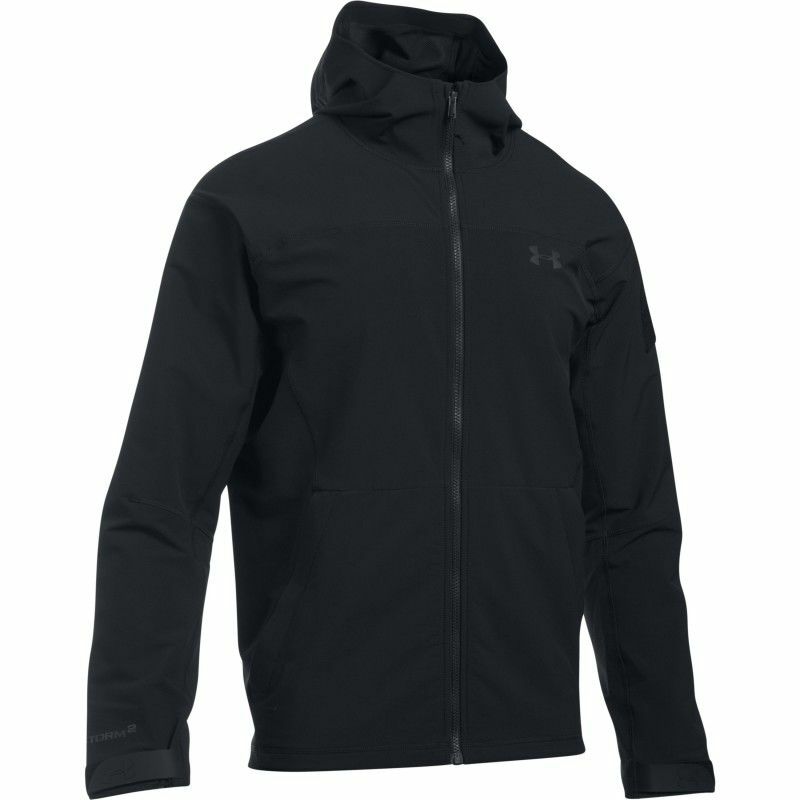 Hooded Softshell Jacket from Under Armour ® Tactical Line with printed Under Armour ® logo on the chest, and printed Under Armour ® STORM lettering on the right sleeve. 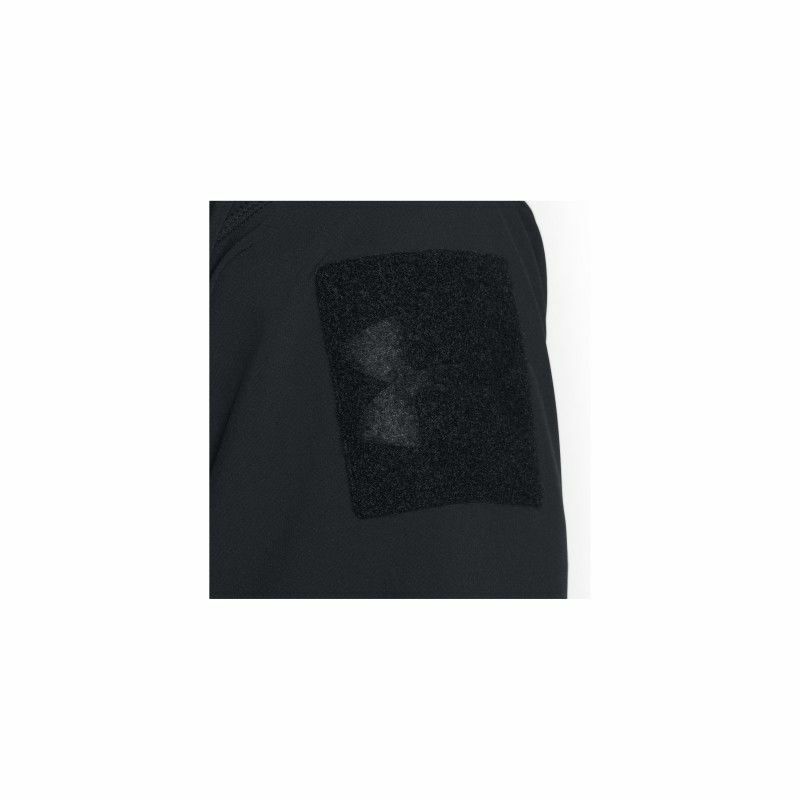 10 x 10 cm fleece Velcro on the left sleeve. 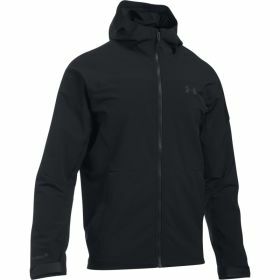 Most functional materials which are used for jackets and rain pants, have a water-repellent layer on the outside, which is often simply called the English-speaking DWR. 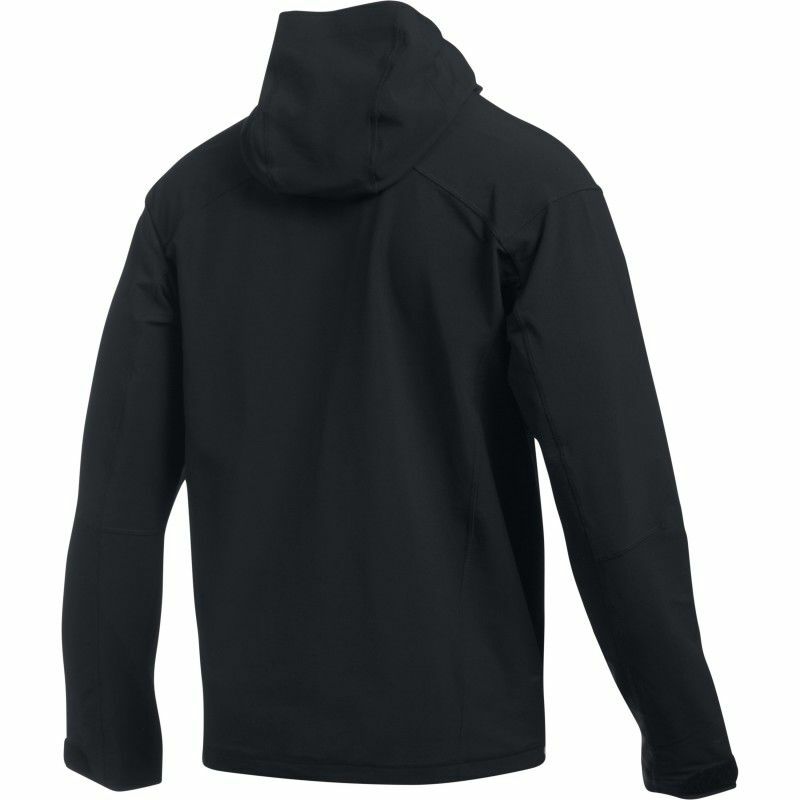 The DWR-layer is intended to prevent the fabric can absorb water. 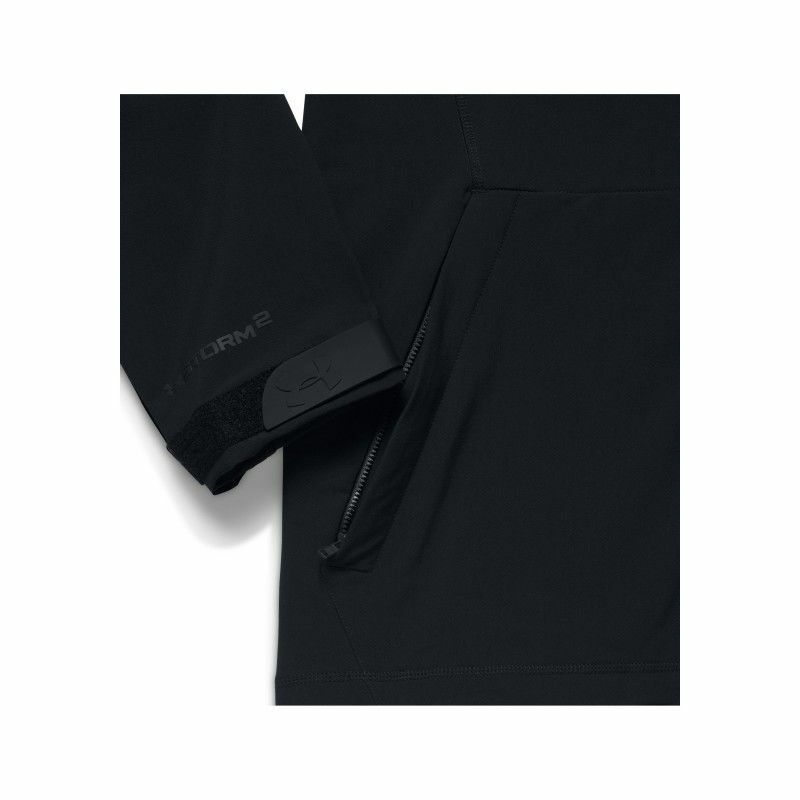 Only by combining a DWR layer with a breathable layer creates a waterproof air substance.